Newsletters are a great way to communicate with your customers, helping you to connect with new and existing customers and inspire customer loyalty. You can use attention-grabbing newsletter printing designs to provide valuable information for customers, cultivate client relationships, position yourself as an expert in the industry, and develop new leads. At Cliffe Enterprise, our professionally trained print management team is experienced in offering comprehensive UK newsletter printing service. We can print both high and low volume newsletters on a range of materials to accommodate every budget range. A newsletter is an important marketing material to spread the news about your latest offerings and brand message and attract reader’s attention. You can use these prints to provide your target audience with information on upcoming events and promote your products and services. 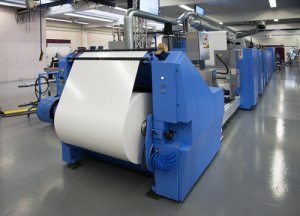 Experts at Cliffe Enterprise specialise in meeting the unique demands of all of our clients, from designing to printing and publishing newsletters of any size, shape, or colour. As a marketing medium, printed newsletters offer you unlimited power to market your brand and products. A newsletter is a perfect tool for list building, and newsletter printing can give your marketing collateral an edge over the competition, with an impeccable blend of colour, graphics, and content that will pique interest of readers. Business newsletters are an ideal way to interact with dormant customers, instead of waiting for them to get in touch with you. These marketing materials give you the ultimate tool to cross-sell related products by educating the reader about them through the newsletters and adding value through useful tips and information. This will help customers think of your brand when they want a more sophisticated product. With a beautifully designed and printed newsletter, you can leave a lasting impact on your audience and increase your popularity and boost sales. When it comes to designing newsletters, ask yourself who you are designing the newsletter for. A good newsletter is designed with a special focus on the audience and creates curiosity and is easy to read and understand. At Cliffe Enterprise, we can custom create the newsletter as per your specifications and business objectives. 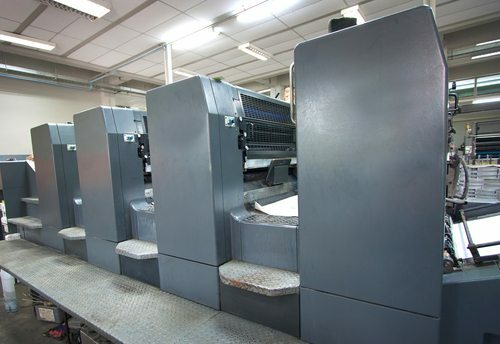 With our professional newsletter printers in UK as your printing and fulfilment partners, you have the convenience to enjoy a quality, affordable printing service. At the speed with which we can produce quality newsletters, your printed marketing collateral is guaranteed to generate business. Due to the high demand from our customers we have installed two in house mailing lines, carrier printing, poly wrapping, bagging and tagging as part of our daily postal release service for our newsletter via either the Royal Mail or our DSA providers. With a promise to deliver your newsletter designed to meet your specifications as per the scheduled delivery date, our print management services offer you peace of mind that your order is in safe hands of a highly experienced team. We will discuss an array of ideas to help your newsletter get noticed in the competition. We will find the best solution for your custom newsletter project and help in creating a unique look for your marketing material. We will work with you to make sure your vision is realised on paper and help you grow your business.